Ahead of the SNES Classic Edition’s launch in a few weeks, Nintendo has uploaded a new manual for Star Fox 2. It’s packed with all sorts of goodies pertaining to the game. For one thing, the manual has some new pieces of art. One of those images is above. 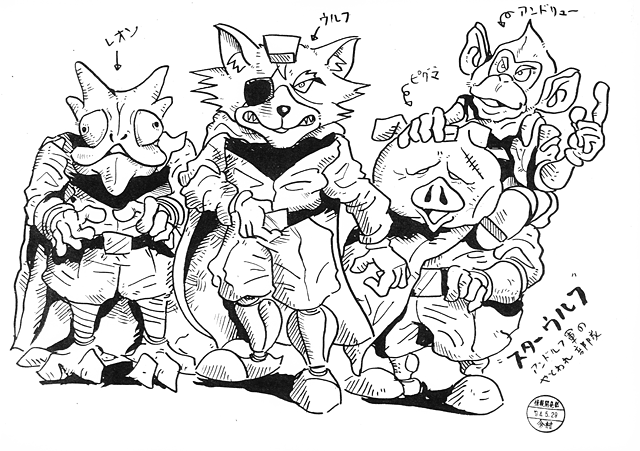 Another, added below, features early concept art of Star Wolf. The battle for the galaxy is over. The evil emperor Andross’s plans to seize control of the once-great Lylat system have been thwarted by the army of Corneria – thanks in no small part to the brave deeds of elite fighter squadron Star Fox. Their mission accomplished, Fox McCloud and his team depart once more for the deep expanses of space, sent off by the cheers and adoration of Corneria’s grateful inhabitants. Andross has survived. Consumed with desire for revenge, he plots an invasion even more terrible than the last. The people of Lylat cannot know it, but the peace they are enjoying is doomed to be short-lived. And sure enough, one fateful day, the forces of Andross attack once again. Taken completely by surprise, the planets of the Lylat system fall one by one to Andross’s advancing army. Corneria, at the hub of the galaxy, now lies exposed and within the clutches of the maniacal emperor! Musing on the grave state of affairs, General Pepper of the Cornerian army knows there is one last resort. 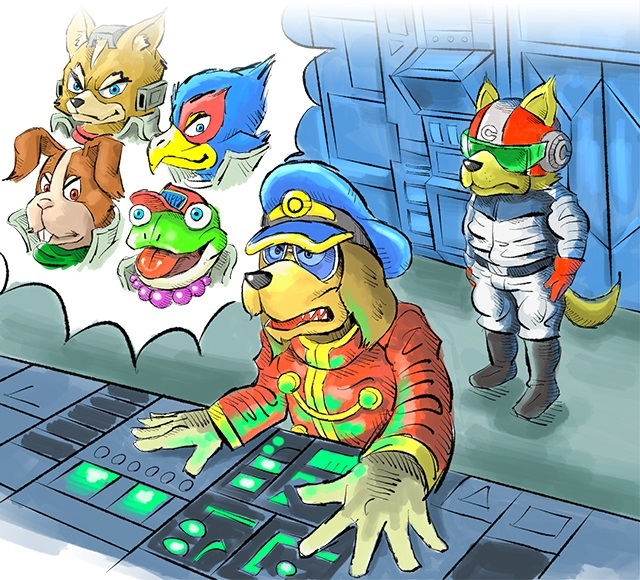 Star Fox is back. With upgraded Arwing fighters and two new members drafted from the Cornerian army, they’re tougher and meaner than ever before. This time, they will put a stop to Andross…for good. You can check out the full manual here. Design documents are here, and Arwing design documents are here.